In our first video with Vertex’s Rebecca Polley, we talked about the new taxes in India and the GCC, and how they may change taxation for European businesses. But the US remains the EU’s largest trading partner, so we ask: what are the trends across the pond? Technology and automation has been key to the US sales and use tax for some time, Rebecca explains; in fact major ERP vendors outsource that entirely. 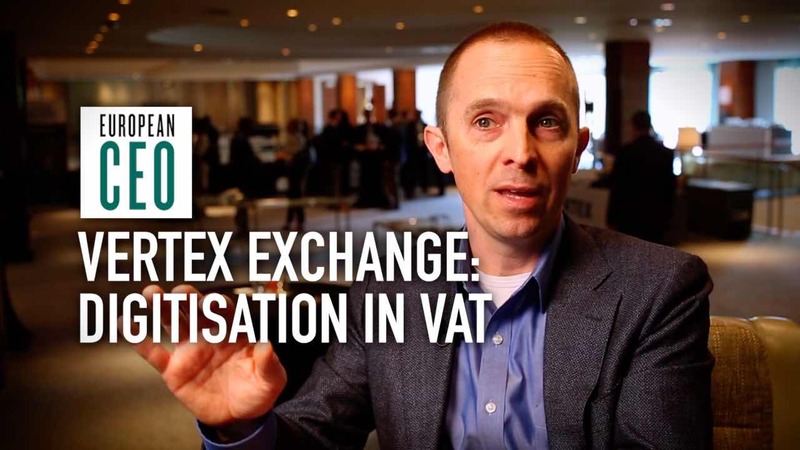 Find out more about overcoming the challenges of US indirect taxes with Vertex. We’ll be publishing the rest of our interview with Rebecca Polley over the next couple of weeks, so do subscribe to European CEO on Youtube. European CEO: I’m with Rebecca Polley from Vertex, and we’re talking about the global tax changes affecting European businesses. We’ve talked about India and the GCC, but the US remains the EU’s largest trading partner, so what are the trends? Rebecca Polley: As you probably know, the US has a very complex indirect tax system, a sales and use tax system. Almost rivals Brazil in its complexity. And one of the things about sales and use tax is it’s very transparent. So it gets added on to the price of goods and services at the point of sale. So it’s really critical that companies have very accurate calculations, because consumers can see that immediately if it’s not correct. The other interesting thing – because there’s such a decentralised approach to governing – there’s about 10,000 taxing jurisdictions in the US. So you could have it at the state level, the county level, the city level, and even regional levels within the city, that have the ability to attach and to apply taxes to sales transactions in their jurisdictions. Each of those jurisdictions also requires a return to be filed, payments to be made, and collections, etc. So you can just imagine the level of complexity of complying with sales and use tax in the US. European CEO: How are businesses approaching that complexity? Especially when they also have to continue maintaining the way they’re processing tax in Europe? Rebecca Polley: That’s where we see a bit of a difference between Europe and the US. The major ERP vendors completely realised the level of complexity of taxation in the US, and so they’ve effectively outsourced that whole compliance process to vendors like Vertex and others in the US. So we have a very robust solution that actually does tax calculation as well as provides all the rates and rules. We have a world-class research team, that’s a big part of the service that we provide to our customers, so we’re constantly monitoring all of those 10,000 taxing jurisdictions and providing those rate updates to our customers on a real-time basis. 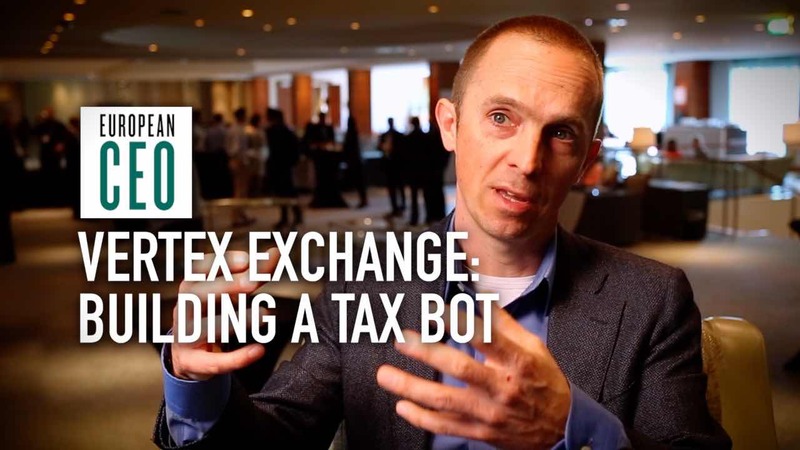 European CEO: Can you give me an example of a way that technology can ease the burden of dealing with indirect taxes in the US? Rebecca Polley: Yeah, so, this allows us really to automate. So for example in the US, if you’re a major retailer – stores in all 50 states, maybe 2,000-3,000 point of sale locations, our software will actually sit at that point of sale and accept all the rate updates. So for example, the sales tax holiday for back to school. We can deliver that update overnight. It’s at the registers ready to be applied when it goes off at midnight, those registers are updated automatically. So you can imagine trying to do that either manually or even in your own system and trying to keep on top of that. Our research capabilities as well as the software that we provide to our customers allow customers to seamlessly integrate and manage those types of scenarios. Thanks for watching. Click through to discover the top three challenges that Vertex is asked to help tax departments manage. And please subscribe for the latest business, finance, and strategic insights transforming Europe.